For many people, losing weight is a daunting challenge to take on. If exercising and changing your diet seem like a tall order, you may want to start with something small—and one relatively simple and easy thing you can do is drink something before bed. Ginger is especially well-known for being an aid to digestion and a treatment for inflammation. It’s an extremely versatile root that can be added to food or made into a tea. 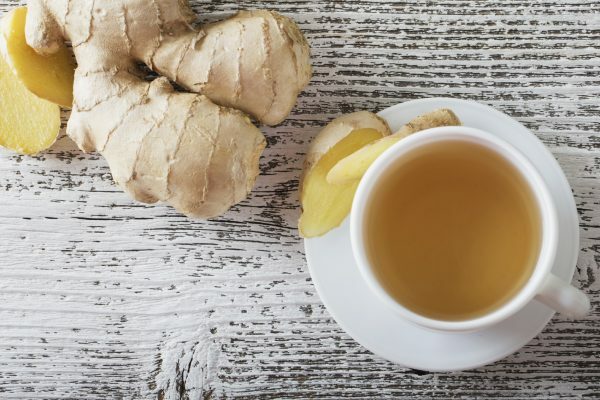 Add ginger tea to your weight-loss program and you’ll be surprised how potent the drink is in helping to burn belly fat. Ginger tea helps expand blood vessels by breaking down cholesterol deposits. As a result of better blood flow, the body’s average temperature increases, allowing it to burn more fat. Ginger tea also works as a bowel-cleaner by removing waste that blocks the colon, thus helping your body shed more pounds. Drinking ginger tea before bed also makes you feel fuller which can free you from those midnight cravings. Here is an opportunity to take advantage of the many health benefits of tropical fruit juices. Pineapples are rich in fiber, and you can get a decent quantity of fiber from pineapple juice on its own, which not only soothes your digestive system, but also improves your bowel movements, allowing you to turn food into energy more efficiently. Pineapple juice also has properties that naturally reduce extra cholesterol in your blood vessels. 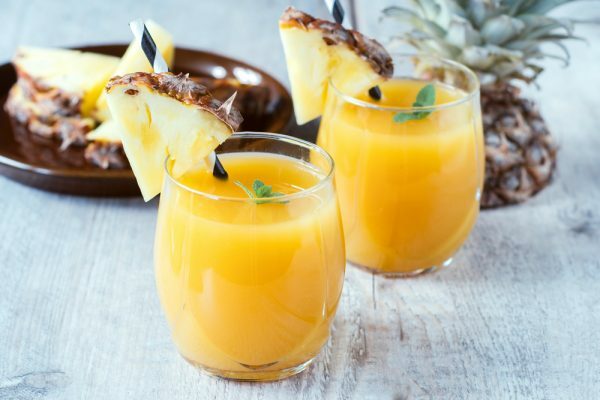 And, on top of all this, pineapple juice is loaded with iron, which is crucial for people dealing with fatigue and insomnia due to iron deficiency. Studies have shown chamomile tea to be effective in dealing with insomnia. But this amazing, daisy-like herb can do much more than help you catch some Zs. 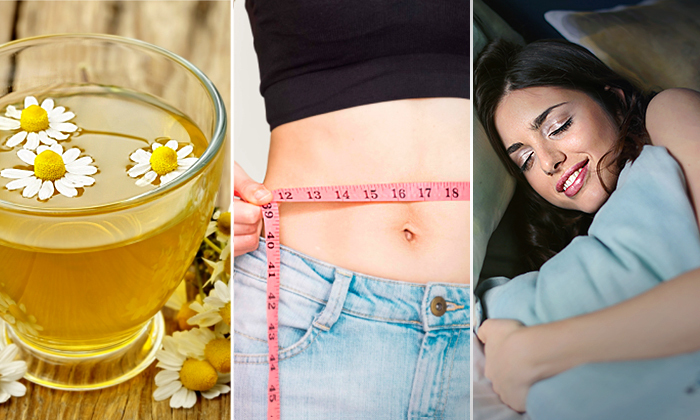 Chamomile tea is rich in antioxidants, which help get rid of free radicals that your body produces, and also to flush toxins and excess water from the body—something crucial not only for losing extra pounds but also for reducing abdominal bloating. 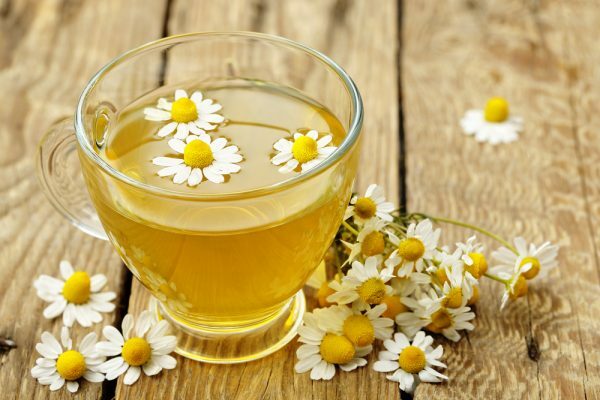 Chamomile tea also stimulates gastric glands to release more gastric juices, which means the things you eat are broken down more quickly and completely, boosting both metabolism and energy. For centuries, aloe vera has been used as a medicinal plant for its ability to relive burns and wounds. It contains several enzymes that are known to help in the breakdown of sugars and fats, and to keep the digestion running smoothly. It’s also rich in vitamin B, which converts stored fat into energy, aiding in weight loss. 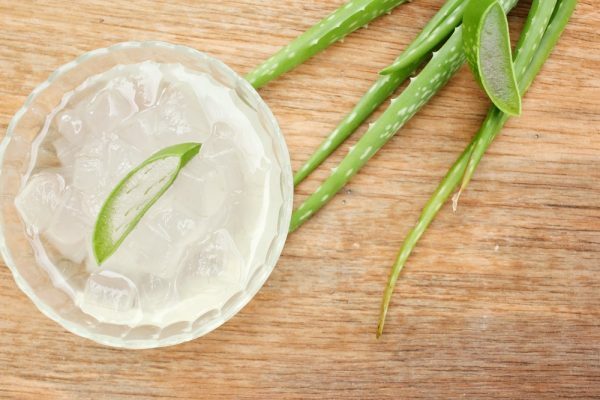 There are two types of aloe vera juice: colorless, watery juice that comes from the clear, gel substance inside aloe vera leaves, and gooey, thick juice made from whole aloe vera plant leaves. The clear juice can be found at grocery stores, but whole-leaf juice is usually sold as a dietary supplement at health stores. Avoid whole-leaf juice, as it contains irritants such as aloin, a laxative that may disrupt your normal digestion. Nor is it regulated by the FDA, so you won’t really be sure what you’re getting, anyway. You may have heard of the health benefits from drinking wine. 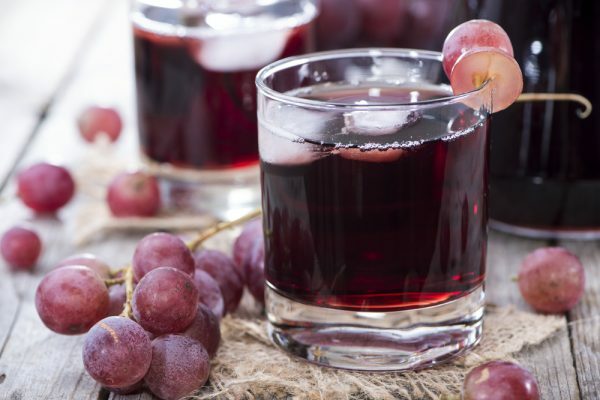 Yet, did you know that you can get almost the same benefits from grape juice? Grapes are rich in antioxidants, which help prevent the oxidation of cholesterol, and allow your blood to flow more freely. The amount of antioxidants in grapes varies depending on the type of grape, where it’s from, and how it’s processed. Dark red and purple grapes tend to be higher in antioxidants than white or green grapes. Grape juice can also lower the risk of developing blood clots—which can lead to heart attacks. Red wine can do this as well, but with grape juice, you can reap the benefits without consuming any alcohol. They may be a bunch of those annoying weeds in your lawn, but in some parts of the world, dandelions have been historically used in tea. Dandelion roots are enriched with nutrients that can help in detoxification and weight loss. A Korean study suggests that dandelions may have similar effects in the body as the weight loss drug Orlistat, which works by inhibiting pancreatic lipase, an enzyme released during digestion to break down fat. Drinking dandelion tea also helps expel toxins, excess salt, sugar, and fat from the body. A natural repository of iron, dandelions are also the ideal drink for battling iron deficiency. 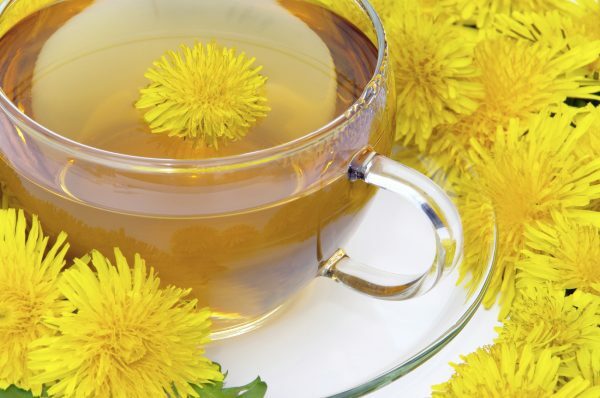 So, if you like, drink dandelion tea everyday to allow your organs to perform at maximum efficiency, day and night, and allow maximum oxygenation. The legendary grapefruit weight-loss diet has been around since the 1930s. Although the diet is not really backed by scientific research, grapefruit juice does have properties that promote a healthier body weight. 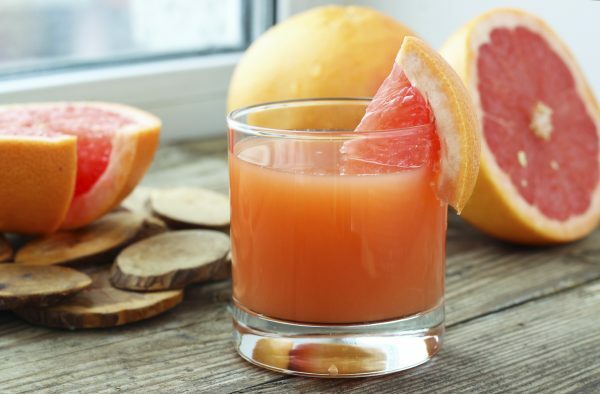 A glass of grapefruit juice can significantly help manage insulin, a hormone that tells your body to store energy as fat. This also helps to keep blood sugar levels in check and prevent metabolic syndrome, a pre-diabetic condition that is linked to weight gain around the waist. For literally thousands of years, green tea has been consumed for a wide range of benefits, from better mental health to improved digestion. It also guarantees a quickened metabolism—especially when you enjoy a cup before bed. 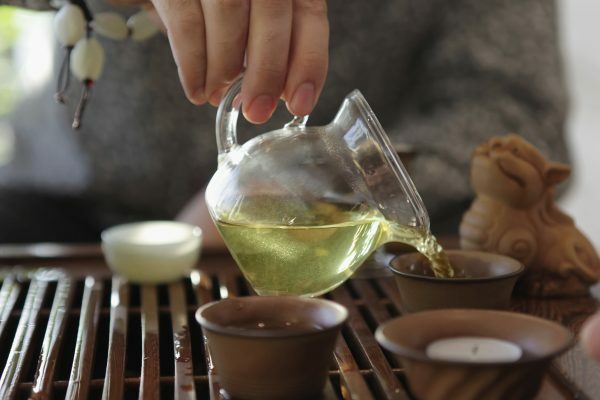 According to a 1999 study, green tea can increase metabolic fat-burning by up to 40%, while a more recent study suggests that it has a boosting effect on fat-burning hormones, such as norepinephrine. Hint: drinking a cup of green tea straight before bed would likely mean a late-night trip to the bathroom, but drinking it an hour before bedtime would give you a chance to go before you snooze. 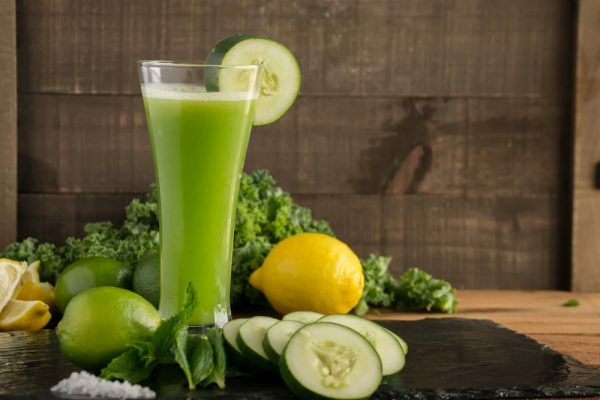 Replacing sugary sodas and sports drinks with cucumber juice will not only keep you better hydrated but will also cut down your caloric intake. One cup of cucumber juice contains only 16 calories, which is less than 1% of your daily requirement. And, since another key to weight loss is adequate hydration, and since one cup of cucumber juice has nearly the same volume of water per glass as pure water, it’s an ideal beverage all round. On the top of that, cucumbers are fat-free, which means you can drink as much as you like without worrying about putting on weight. A lot of people drink soy milk on a daily basis as a substitute for cow’s milk. For some who have digestive problems, soy milk solves that problem. Others may choose soy milk for its many health benefits, such as being a good source of protein and calcium. Cow’s milk provides these, too, but also contains extra, saturated fat and cholesterol, so it is not very friendly for dieters or those who have high blood pressure or high cholesterol levels. Soy milk can act as a wonderful weight-loss aid. 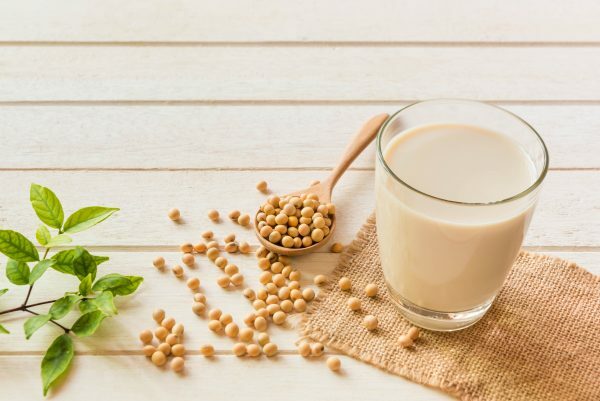 The monounsaturated fat in soy milk not only prevents blood fat from increasing, but it also inhibits intestinal fat and cholesterol absorption. Meanwhile, it’s loaded with fat-burning vitamins. You can get 30% of your recommended daily intake of riboflavin and 50% of your vitamin B12 intake—both of which you need in order to burn off fat and energize the body—from just one cup of soy milk. A cocktail of good bacteria!